Today was Day #9 of Chocolate and Fruit Theme Week. 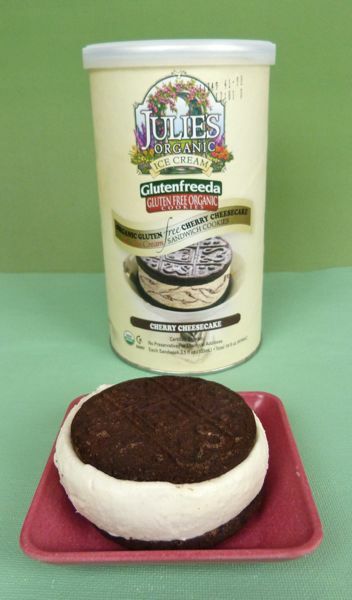 Julie's Organic, gluten free ice cream sandwiches -- petite rounds made with Glutenfreeda (Burlington, WA) gluten free, organic chocolate cookies -- tasted cheesecake-rich, but only tipped the scale at 200 calories each. 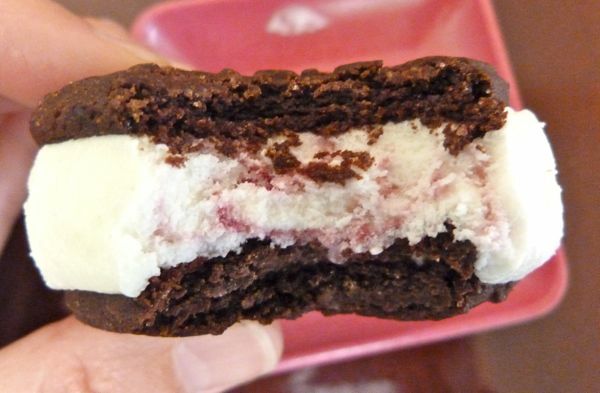 A trace of organic cherry sauce was swirled throughout the cheesecake ice cream filling.